The Australian new vehicle market is up 2.6% year-on-year in October to 95.763 registrations, beating the pervious October record established five years ago (95.584 in October 2012). The year-to-date tally is on track for a third consecutive record year, up 0.5% on the same period a year ago to 984.931 units. SUVs outsell passenger cars again with 38.5% of the market (+1.2%) vs. 38% (-3.8%) while light commercials are up 18.5% to 20% share, pulled by a stunning 25.2% growth from 4×4 pickups, or “utes” as they are called here. Private sales are down 0.5% to 42.419 units or 44.3% share vs. 45.7% a year ago whereas business sales are up 3.5% to 39.639 or 41.4% share vs. 41% in October 2016. Rental sales amount to 7.199 and government sales to 3.097. 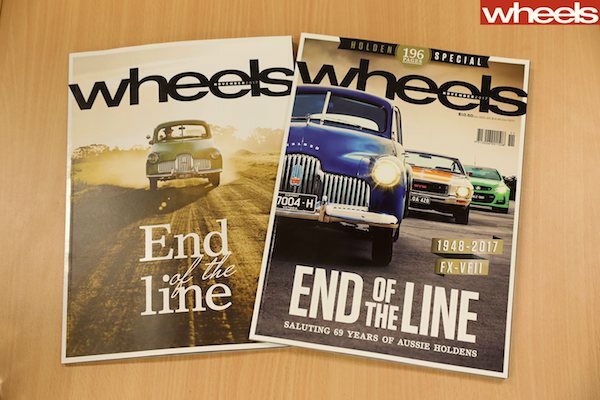 As of October 20, the Australian car manufacturing industry is no more. In terms of sales by state/territory, the biggest increase is delivered by Western Australia rallying back up 12.8% to 8.548 sales, ahead of South Australia up 7% to 5.831, Queensland up 5.9% t 17.860, Northern Territory up 4.3% to 744, Australian Capital Territory up 2.6% to 1.448, Victoria up 2% to 28.098, and New South Wales up 1.9% to 32.454 whereas Tasmania is down 3.5% to 1.870. The most popular country sources are Japan at 27.062 (+5.4%), Thailand at 22.826 (+7.4%), South Korea at 15.395 (+10.8%), Germany at 7.309 (-2.8%) and Australia at 5.129 (-28.6%). This last figure is set to thaw rapidly to zero as local manufacturer Holden has historically ended Australian production on October 20, and this after 69 years of continuous car manufacturing in the country and 161 years of manufacturing, as the the company was first started by James Alexander Holden in 1856, specialising in leather goods and saddles. More on the end of Australian car manufacturing here. The Mazda CX-5 is back in the SUV lead. Brand leader Toyota outpaces the market with a 9.1% year-on-year gain to 18.6% share while Hyundai (+1.1%) climbs onto the 2nd spot for the first time in 12 months. Mazda (+1.7%) is knocked down to #3, Holden (+2.7%) is back to the 4th spot it holds year-to-date – and posts its first positive month since last January – with Ford (-11.1%) rounding up the Top 5 as is also the case YTD. In the Top 10, Mitsubishi (+6.2%), Subaru (+12.7%) and Kia (+20.1%) also shine whereas Nissan is down 17.6% but back up three spots on September to #9. Further down, Audi (+9.7%), Honda (+13.7%), Isuzu Ute (+17.5%) and Land Rover (+24.9%) make themselves noticed all the while Mercedes (-13.9%), Renault (-18.7%) and Jeep (-32.9%) all struggle. Peugeot is up 51%, Lamborghini up 50% and the fastest-growing brands in market are Chinese Great Wall (+173%), LDV (+134%) as well as Maserati (+132%) and McLaren (+100%). 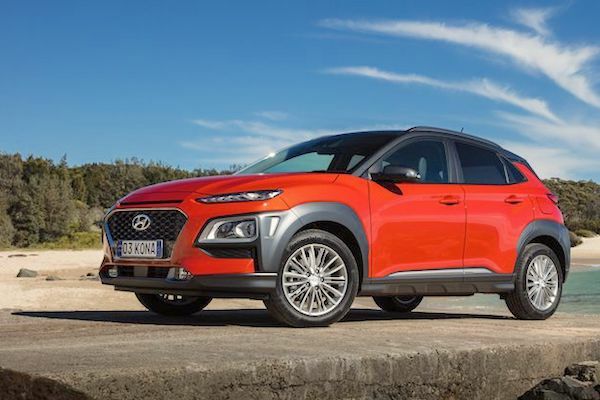 Hyundai looks to be onto a smashing success with the Kona in Australia. 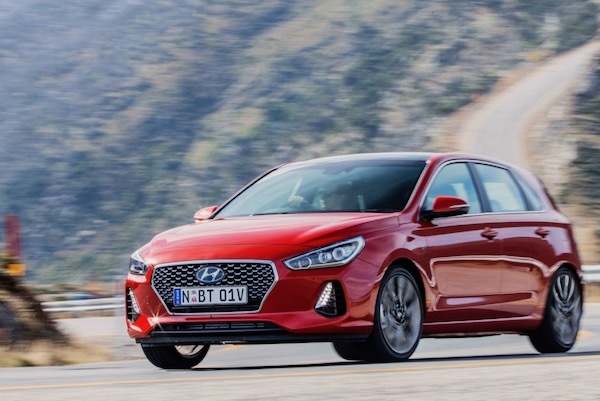 Model-wise, there is a surprise atop the ranking: the Hyundai i30 shoots up five spots on September to land in pole position with sales up 47% to 4.2% share. It is the first time this generation of i30, launched earlier this year, leads the Australian charts and the nameplate’s first podium and #1 spot since June 2016. In total, the i30 has now ranked #1 in the monthly Australian charts seven times, the first being in June 2015. Add to these September 2015, March 2016, April 2016 and May 2016. The most impressive element in this month’s i30 victory is the fact that it was achieved without the help of cutthroat pricing as the 2015-2016 wins were accompanied with a sub-$20k drive-away pricing for a car that was in runout mode. After being outsold by the Ford Ranger last month, the Toyota Hilux reclaims the advantage both overall and in the 4×4 category (2.970 vs. 2.648 sales), cementing its YTD lead at 4% share (+14%) vs. 3.6% (+18%) for the Ranger, down to #4 in October. The Toyota Corolla (-4%) remains in third place as it is YTD (-7%). 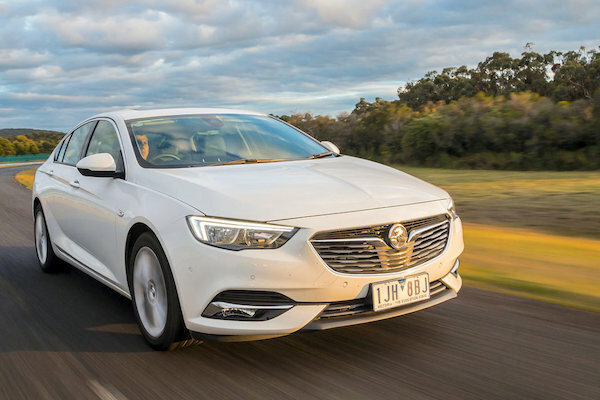 For its last full month as a locally-produced car and before being replaced by a locally-tuned rebadge of the imported new gen Opel Insignia, the Holden Commodore is up a splendid 15% to retain its spot in the Top 5, bypassing the Mitsubishi Triton year-to-date to climb back up to #9. 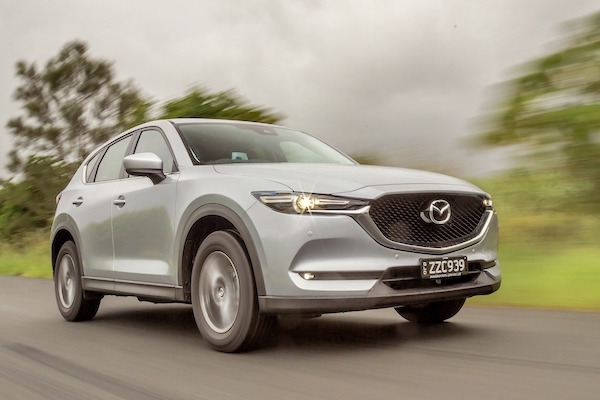 The Mazda CX-5, boosted up an impressive 35% by the new generation, is back in the SUV throne it has held for the past four consecutive years. With the Hyundai Tucson sinking 23% to #16 in October, the CX-5 consolidates its YTD SUV lead to just under 1.000 units. The VW Golf is up 29% to snap its first Top 10 ranking since May 2016 and the Mitsubishi Triton surges 85% to #10. Other great gainers in the Top 20 include the Honda Civic (+53%), Nissan Navara (+21%), Isuzu D-Max (+18%) and Holden Colorado (+17%). 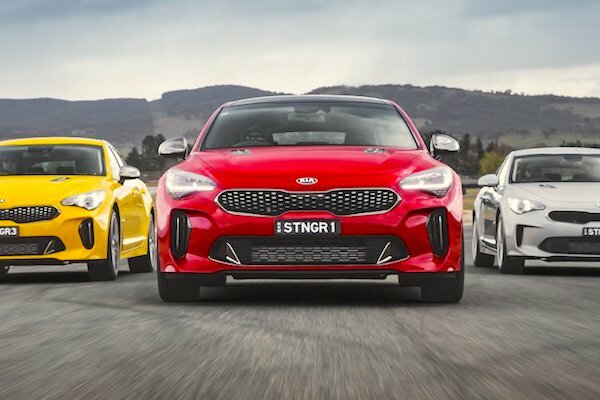 The Kia Stinger has landed in Australia. Full October 2017 Top 50 All-brands and Top 280 All-models below.